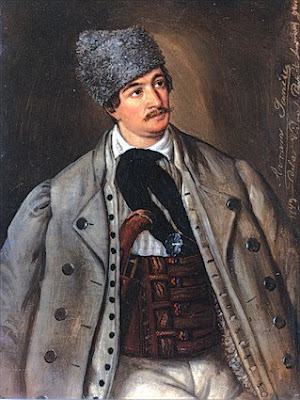 This is a picture of Avram Iancu, someone who lived, and who did much during the Austrian Revolutions of 1848-1849, and was given the moniker of Prince of the Mountains, but in the end died with so much hate from the Austrian government later. He was a Transylvanian Romanian, which doesn't shed to much light on the person he was, but he was of a family who were formerly serfs in Romania, and then rose to become a lawyer. He is an important person to remember since his fame came at a price. But today this is changing, according to some reports there is co-operation between Hungary and Romania, which might mean more people like Avram Iancu might see their place in history restored. Who else do you think changed history which allowed the focus of other nations on to Transylvania?